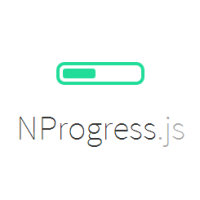 NuGet Gallery | Packages matching Tags:"indicator"
35 packages returned for Tags:"indicator"
NProgress.js :: A nanoscopic progress bar. Interactive paging indicator widget, compatible with the ViewPager from the Android Support Library with Material Design. See Project Site for Sample. LoadingIndicators.WPF is a collection of 8 animated loading indicators (compatible with MahApps.Metro). BuildLight provides an extensible framework for connecting a build server status to a build light/lamp, audible notification and other sorts of things like mobile alerts. Right now it only supports TeamCity and a red/green/blue LED light made by Delcom that connects to the USB port. A Windows 8 Progress Ring. A port of ViewPagerIndicator for Xamarin.Android. A highly customizable indicator for ViewPager. Busy spinner for TypeScript AngularJS web applications. A Battlefield 4 progress indicator, emulating an older Terminal prompt. Look at project site for more info. Added logic to ensure that arc is invisible when first loaded. PagerTabIndicator is a customisable android library that is designed to work with the ViewPager component.